That's right folks, DiRT Rally [Steam, Feral Site] is now officially confirmed to be coming to Linux and it arrives on March 2nd. Feral Interactive are behind the port, so it will be another good one I hope. The good news I have for you is that the multiplayer will be cross platform with Windows, which will make the online modes that much more satisfying for us. Up to four players can race online together. At release it will be priced at £39.99/$59.99/€49.99. Not a cheap game, but well worth it. I have very fond memories of playing rally games on my original Playstation as a child. 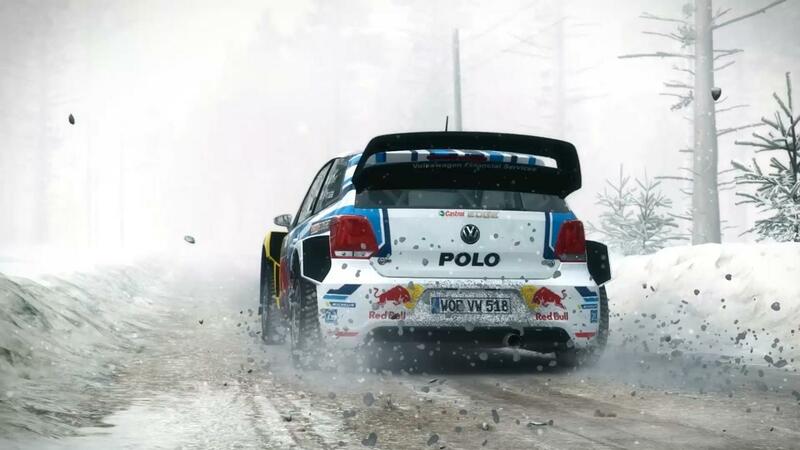 In DiRT Rally, the official game of the FIA Rallycross Championship, players take the wheel of the world’s most iconic rally cars, including the MINI Cooper S and the Lancia Delta S4. They will need to choose the right tools, strategy and team to master events in over 70 stages across Greece, Wales, Monte Carlo, Germany, Finland and Sweden. Each race offers up a new challenge with a range of environments such as muddy paths, dusty trails and snow-laden tracks, as well as a variety of weather types. Career mode forms the core of the game: players start on the bottom rung of the rally ladder and compete in a series of championships. As they work their way up to the top division, they’ll earn in-game money, which they can use to buy new cars. The tough nature of off-road racing in DiRT Rally means that players will need to hire a team of engineers to repair their vehicles between stages. As players drive a vehicle in events, their engineers will unlock upgrades that unleash the full potential of the car. Events take place across three different disciplines; as well as point-to-point Rally races, players can also tackle the tight and mixed-surface circuits of Rallycross and the challenging course of Hillclimb. Players can dive straight into the action, or fine-tune their car's setup to suit the track, weather and their personal driving style. They can even make manual adjustments to their car’s brake bias, level of damping, gear ratio and more. Wohooo... i have been waiting for this! There's no Multiplayer for his one, right? You just race against the time? I was right, Maggie Simpson looked like a car! Will buy it when port i out. There is a multiplayer Rallycross mode and it will be cross-platform with Windows. The Rally events are asynchronous, so yeah, for those ones you'll be racing against a time. evergreen I was right, Maggie Simpson looked like a car!